Spin Instructor, been with JCC since October 2012. Certified Yoga Instructor, with JCC since January 2000. Hi, I’m Heidy Jaramillo and I love teaching Zumba classes. The reason is simple: Every class feels like a party! Come join me and you\ll see what I mean. You don’t even have to know how to dance. Just move your body and follow my lead. It’s easy! Come try it, I guarantee you will have a blast! I look forward to meeting you! Certified in Zumba, Zumba Core, Zumba Gold, Zumba Toning. I have been teaching Spinning classes at with JCC since March 2009. My classes are a mix of fun and fitness. I try to use music in sync with motivation to get riders to push themselves outside their comfort levels. In addition, I am a strong believer in visualization, which means even though we are riding inside, I try to mentally put you outside on that nice winding road. The playlists are always fresh, and member’s music suggestions are always welcome! Lisa is certified in Spin and Sprint and has been with the JCC since 2014. She teaches a very upbeat spin class utilizing an eclectic style of music and choreography. She encourages her spinners to challenge themselves, to get stronger and improve their form. Donna started instructing fitness classes nearly 30 years ago, and is proud to say 15 of those years have been at the JCC. She has taught all kinds of classes and obtained many different certifications from “aerobics” (shows how far she goes back), aquatics, senior fitness, STEP, weight training, pilates, kids fitness, and even stretching & flexibility classes. Approximately 8 years ago Donna decided to further her education and obtained her Personal Fitness Trainer Certification. Donna loves to dance so it was only natural that she obtained Zumba, ZumbaGold and ZumbaStep certifications. Her love for instructing and helping people keeps the passion of instructing alive! 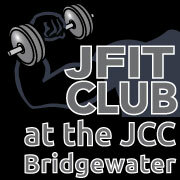 Barbara is proud to be a part of the JCC group fitness team. She is certified in Yoga, Body Flow, Body Pump, CX Work, & TRX. I have been involved in the fitness program since before the facility opened. I have been teaching fitness classes at the JCC for Four years. I currently teach Spin, Bodycombat, BodyVive and Bodypump.